Over 100,000 people have called for convicted rioters and looters to lose their benefits saying they show a disregard for the country that provides for them. 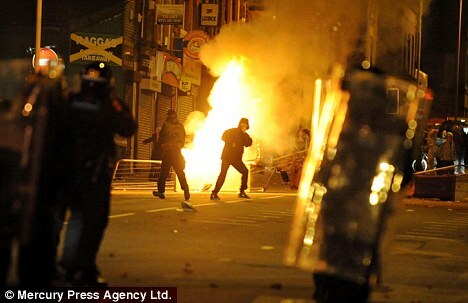 An online petition at epetitions.direct.gov.uk demands welfare-dependent rioters convicted of offences linked to the recent disorder should surrender their state handouts. Now the figure has topped 100,000 signatures and the petition has proved so popular the government site hosting it has crashed under the strain. Meanwhile, Manchester and Salford councils have promised to take the action against looters, including evicting them from council properties. The moves are a response to the huge public demand to bring the rioters to justice. The epetition started by Stephen Mains yesterday it states: 'Any persons convicted of criminal acts during the current London riots should have all financial benefits removed.